Dan Nicholas Park is a 350 acre park located 8 miles southeast of Salisbury on Bringle Ferry Road. 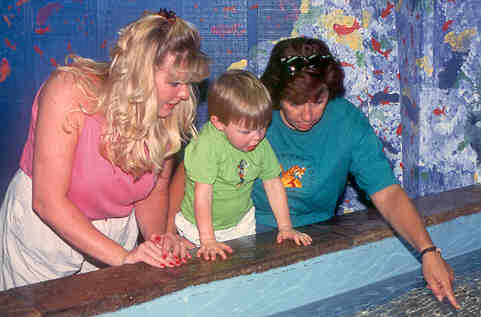 The park offers recreational activities for all age groups. It is open year round and contains a 10 acre lake for paddle boating and fishing, named in honor of Mrs. Murtis Nicholas. Other attractions include T.M. Stanback Outdoor Theater, an environmental education building with Proctor Auditorium, live animal exhibits, petting zoo, Uncle Tom's barn, miniature golf, a concession stand, tennis courts, picnic shelters- including a large shelter which will accommodate 300-500 people for companies or large outings. Also available are a playground, volleyball, horseshoes and ball fields, as well as classrooms for nature study. An 80-site family campground (55 sites with electricity and water) is also available for use year round. The Autumn Jubilee Festival is the first weekend in October. 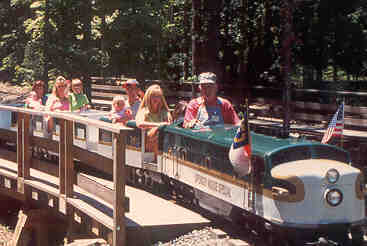 There's even a magic train ride through a forest of fun!!! Two fully restored 1950's miniature trains whisk visitors into tunnels and across trestles with visual surprises all along the way !!! Lexington, North Carolina is the Barbecue Capital of the world. The barbecue is legendary. We invite everyone to come to Uptown Lexington where we provide over 100,000 people with the finest exhibits, the most exciting entertainment, and of course, the Best Barbecue in the world!